Our organization was organized last year. It is a non-profit group that was designed to offer homeschool sports to our local homeschool athletes. In January we received our 501c3 status as a non-profit group. It is time for our annual audit, but I am not sure which way to go now and who to get to do the audit. I used an excel spreadsheet to do our check register. Any help or suggestions that you could offer would be greatly appreciated. Congratulations on obtaining your 501c3 status. that’s a huge accomplishment! I’d be happy to help you in any way that I can. You mentioned your “annual audit.” Does your organization really need an annual audit? An audit has a specific meaning in accounting and it involves an in-depth look at your entire accounting operation. It is very time consuming and expensive ($3,000 and up). Since you said that you keep your records on an Excel spreadsheet, I assume that the record keeping is pretty simple. So, that makes me wonder if you mean an “audit” or something else, like just filing your annual information return with the IRS. Follow up: Nikki sent me the bylaws for her organization and I made some recommended changes, gave her some financial practices to follow. I also suggested she consider doing an internal audit. Some small nonprofits and churches do an internal audit annually or every other year. An internal audit goes beyond the financial practices I recommended, but it is not as extensive as a full audit. Internal audits are performed by people within the organization. They check accounting records for compliance with the financial practices. I know that the board members of a homeschool groups are hard-working people. They not only homeschool their own children, but they organize support groups and co-ops to help other homeschool families. Sometimes a homeschool group would like to “reward” these generous individuals. 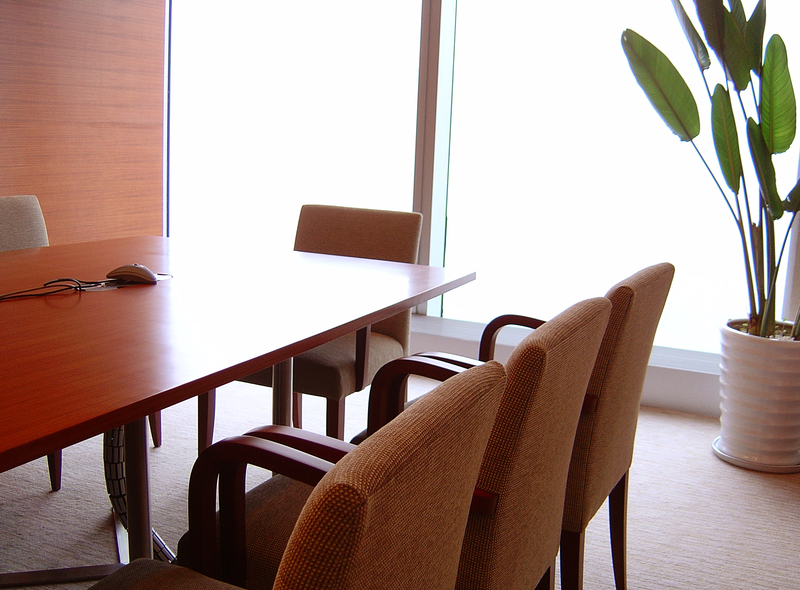 Is it OK to compensate your board members? Payments to board members can create a conflict of interest. Does the loyalty of the leader lie in herself or in the best interests of the group? Paying board members can call into question the duty of loyalty of the board member. Is she acting in the best interest of the group rather than a personal, financial interest? Payment could compromise the leader’s duty of care. A leader should act in good faith, with the care an ordinary, prudent person would exercise and with the best interest of the group in mind. Payments on nonprofit boards is not a typical practice. Charities do not usually compensate their board members. Their funds usually go back into the program. Board members serve because they have a passion for the mission and a concern for the members. Board payments can undermine the volunteer spirit of other members. Why should a member volunteer her time when others are paid for their efforts? Paying a board member can cause dissension and a sense of injustice or imbalance in the group. In this particular case the payments did not have member approval. The board voted themselves compensation, but never put the idea to a member vote. This could be considered inurement which is forbidden for 501(c)(3) tax exempt organizations and could put the organizations tax exempt status at risk. Paying board members involves correctly classifying them as employees or independent contractors. The classification is a matter of IRS law, not your choice. This group has wisely decided to stop payments to board members. I think the group will be better served by an all-volunteer board and healthier in the long run. You can pay board members, but the income is taxable income. My book Paying Workers in a Homeschool Organization explains the correct way to pay board members as employees or independent contractors and alternative tax-free ways to thank your hard-working board members. This homeschooling mother in NC ran into a problem when she tried to open a bank account for her family homeschool. I live in North Carolina, homeschool my children and want to do some fund raising for some projects and field trips and also school supplies. I went to the bank, wanting to open an account in the homeschool’s name and they said that I would have to open up an account in my name doing business as my homeschool’s name. My question to you is, how do I go about paying taxes on the money? I do not want to get into trouble with the IRS. Was that the right thing for me to have done? Waiting to hear from you soon! I’ve been asked questions like yours before. I answered them in two posts on my blog. Can we (an individual homeschool) be allowed to do fund raising similar to youth sports groups, scouts,etc? Yes, you can participate in a fund raiser if the fund raising organization allows it. BUT, the profit you make is taxable income and you’ll need to report it on your tax return. Can my individual homeschool have a fundraiser? I hope that answers your question; let me know if it doesn’t. I’m the Treasurer for our local Home School Co-op and we are in the process of implementing some policy and procedures. My question is: What would be an effective policy for the handling of funds received by the various age-level activity coordinators? Some activities are free or have a very small fee, while others are big events with tickets being sold and expenses incurred (High School Formal).. Should there be a set amount that does not need to flow through the checking account and the coordinator be responsible for the collection of fees and the disbursement of funds, or should all monies flow through the checking account and expenses paid by the Treasurer? In general, I recommend that all activities under your co-op flow through your organization’s checking account. It might make more work for the treasurer, but it provides accountability and oversight of the program that will bear your name. That being said, I am treasurer of a separate graduation ceremony fund for my homeschool group. We (the parents of the graduates) set up a separate checking account just for the graduation ceremony. I believe it was so that only the parents with graduates were funding the graduation, not the entire student body/homeschool group. We have to stay on budget because there is no “slush fund” from the larger group to fall back on if we overspend. There is no set amount to help you make a determination. I would base my decision on the nature of the activity. If it is recurring (like our graduation ceremony) then perhaps a separate account could be set up; if it is only a one-time event like a field trip, then keeping income and expenses part of the larger group’s system would make sense. Also consider the fiscal responsibility of the leaders of your separate activity. If no one cares to handle the money in a responsible manner, then don’t let them open a separate account. I know that being a homeschool leader is not an easy job. You have taken on extra responsibilities in addition to homeschooling your own children. But help is on the way! A 39 page ebook covering money management for small, medium and large sized groups. Sample forms and examples of financial statements in clear English are provided. Also covered are topics such as using Quickbooks, collecting fees, creating a budget, insurance, and hiring paid teachers. All written specifically for homeschool groups. A 51 page ebook explaining the pros and cons of tax exempt 501c3 status. Is it needed? Is it worth it? Also covered are non profit incorporation, the application process, and how to maintain tax exempt status. Written specifically for homeschool groups. A 62 page ebook containing some of the most frequently asked questions from homeschool leaders on the IRS, nonprofit and tax exempt status, boards, conflict, money, fund raising, volunteers, paying workers and insurance. A 20 page ebook that covers paying workers as employees or independent contractors. Includes sample forms, tips and advice to help you pay workers in accordance with the IRS laws. Written specifically for homeschool organizations. An hour-long audio that explains the advantages of 501c3 tax exempt status for your homeschool group. What’s involved, what will it cost and is it worth it? All specifically for homeschool groups. An hour-long audio that explains the importance of boards, budgets and bylaws in a homeschool organization. Get your group set up correctly and running smoothly. All specifically for homeschool groups. I hope you find these ebooks and audios helpful as you run your homeschool organizations. At your leader meeting a few months back, you had recommended that all of our groups have the same EIN number. When a group leader tried to change their account to one using our EIN, the banker wanted a copy of our original letter from the IRS. I told the banker that we have never had to provide anything except a letter from me (one who obtained the number in 2002) and the EIN number which we provided. He said it was just a personal preference of his. Have you heard of this? I am uncomfortable doing more than what is usually required and providing personal paperwork to him. Am I being unreasonable, or do you think it is okay to provide it? Thanks for any insight. I’m with you-the banker should not need an IRS determination letter (I assume that’s what’s he is talking about) to open a nonprofit checking account. Some nonprofits never get a tax exempt determination letter from the IRS because they self declare their tax exempt status and never formally apply. (Note: only churches, social clubs and charities with less than $5,000 in annual income can self declare tax exempt status; all other organizations must apply for tax exempt status). Most nonprofits need a checking account before getting IRS tax exempt status because the IRS charges a fee to process a tax exempt application! I think there is some confusion on what the bank manager is asking for. I don’t think he is asking for us to prove that we are a 501c3 non-profit as recognized by the IRS. I think that all he wants is a copy of the letter from the Department of the Treasury that assigned us the EIN number. He probably doesn’t even know the right terms for what he is asking. Yes, I think you are correct. The banker may have only been asking for the EIN paper from the IRS, not a 501c3 determination letter. I guess he’s being careful about getting the EIN correctly from the IRS letter itself. I can’t blame him for that. Your nonprofit needs professional accounting help, but a good CPA can be hard to find. You desire someone who is knowledgeable but understandable, experienced but still affordable, and professional yet interested in your mission. Tell your staff, members and volunteers of your need and request that they ask friends and neighbors for referrals. Mention your search for a CPA in your newsletter. Look over your member or donor list for CPAs and call to see if they are qualified and interested. Join an on line professional network like LinedIn.com, join some groups and post your need. Call your state CPA society for referrals. WebCPA.com lists state CPA societies at. Ask other local nonprofits for their CPA’s contact information. Use an on line matching service such as Accountants for the Public Interest that matches volunteer CPAs to nonprofits at. Finding a qualified CPA is the just the beginning. You also desire a good working relationship that benefits your nonprofit more than it costs. Inquire if the charges can be reduced. Some CPAs will offer a discount if you can delay work until after tax season. Discuss how much of the work your staff or volunteers can do to help reduce fees. Ask for lower cost alternatives. For example, a review of your financial statements may suffice instead of a full audit which is much more costly and time consuming. Seek out an accountant that has the ability advise you about the financial side of your nonprofit. You should feel comfortable with him or her and be free to ask questions. A good accountant is not just a bean counter; they are also a business advisor. They should explain issues and financial statements in a language that is accurate, yet understandable. If you leave a meeting with your accountant feeling confused, you should find another accountant. How many nonprofits do you have as clients? Hopefully, the accountant has clients similar in size to your organization. Size is usually measured in staff size, number of clients served or annual revenue. What is your area of specialty? Some CPAs conduct audits while others specialize in preparing the annual IRS Form 990. Select an accountant that matches your needs. With whom will we be working? In medium and large accounting firms there are several layers of management. The person doing the original interview may not the one doing the work. Alternatively, in a small or solo firm you will probably work with only one individual. May I see your biography or Curriculum Vitae (CV)? Look for participation on church or community boards, published articles and professional memberships. 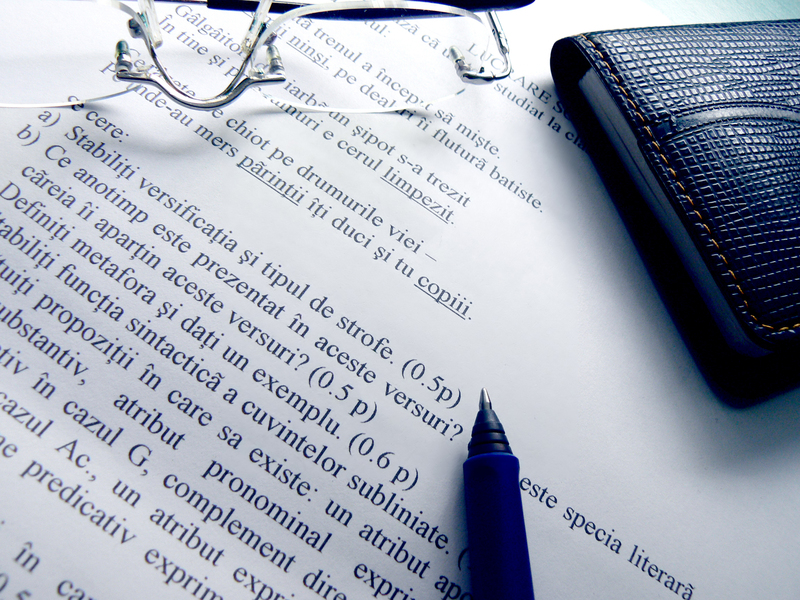 Can you explain to me the reporting requirements for my nonprofit? This type of question is really a test to see how well the CPA explains IRS guidelines. Is their explanation understandable to you or do they lapse into accounting jargon? Do you charge by the project or by the hour? Am I free after this engagement to call you with questions? Will I be billed for the phone call? After their first audit, a small, but growing, nonprofit asked their CPA, “ How do we compare to other nonprofits? What can we be doing better?” The CPA was unable to answer their questions. He was good at number crunching, but he could not see the bigger picture and seemed unable to offer advice. The director was quite disappointed. They used the techniques mentioned here and found a qualified, helpful CPA with a reputable firm that guided them through many successful years of expansion. Have we hit the $5,000 mark? I am trying to do some research on the non-profit status for our Homeschool group and cannot find a clear answer. We are trying to see if we have hit the $5000 gross receipts limit. Would money that individual members write to the group, so that the group can write one check to an organization, for instance a field trip, be considered in the gross receipts? All money that comes in, even if it goes out almost right away like for a field trip, is considered gross income. Not difficult to get over that $5,000 limit, is it? How Much to Keep in Cash Reserves? I am wondering whether you have any guidelines about a good amount of cash to keep in reserve, or what to use as a basis for determining the amount of cash. We have a substantial surplus, growing every year despite our efforts to price classes at a close to break-even rate. What a wonderful position to be in-cash reserves growing each year! Many for-profit businesses are not doing that well! Basically, the tighter you run your cash flow (i.e., only collecting a month at a time), the more you need in reserve. I recommend that you look at your sources of income. Imagine any one item being eliminated, such as a major fund raiser. How would you run your co-op without that source of income? Sometimes when a nonprofit loses a major source of funding, it needs to fall back on cash reserves for a while. 1. Have at least 10%, maybe 15% of your income in reserve for emergencies, damages or disasters. 2. Have at least one or two month’s rent in reserve in case you need to move locations. 3. If you pay employees, have at least three months of their pay in reserve. 5. Have at least enough in reserve to cover the deductibles on your liability and medical/accident insurance. 1. Offer reduced fees to hurting families. In my homeschool co-op, we have a widow and another family with a disabled father, so they get free access to our co-op classes. 2. Offer reduced fees for significant volunteer efforts. We offer teacher discounts and discounts to our co-op director. 3. Make a contribution to the location you are renting if it is a church or community organization. 4. Have an end of year party with a catered dinner. 5. Give appreciation gifts to all your volunteers.